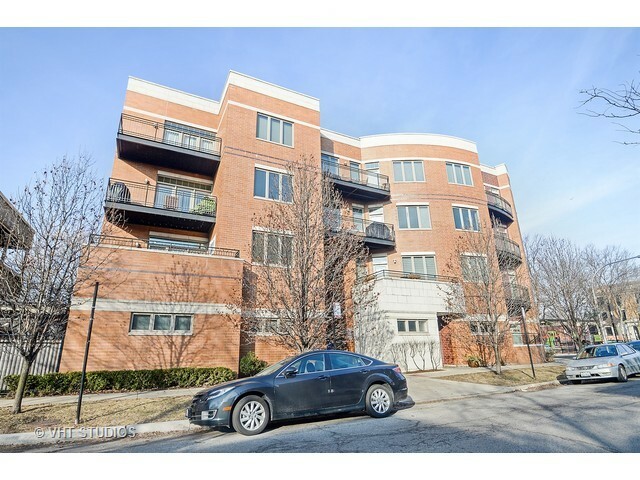 Beautiful 2 bedroom 2 bath east facing condo with garage parking in newer elevator building just a few blocks north of Wrigley Field. This home has tons of natural light and sweeping unobstructed views of a park. The spacious open concept layout boasts a variety of unique amenities for the area including a balcony, hardwood floors and surround sound speakers throughout. Recently renovated/upgraded kitchen with stainless steel appliances including gas range, french door refrigerator, dishwasher and quartz counter tops. Large master bedroom and bath features access to balcony, deluxe steam jet shower and tons of closet space. Bright guest room, guest bath with a large jacuzzi tub, low assm and in unit laundry make this the perfect condo. Price includes generous external storage just down the hall, indoor htd parking space with wall bike mounts, room for storage in front of car and secure dog area. Short walk to lake, parks, Wrigley Field, CTA, shopping, restaurants and nite life.